This is one of the designs Pandora's Boxes was asked to supply to the production of the drama series Downton Abbey. 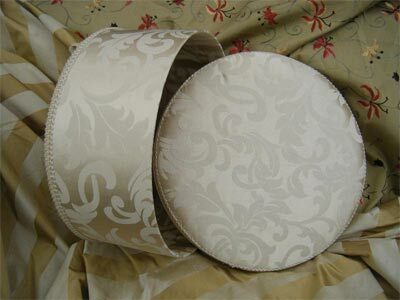 Sumptuous swirls of creamy jacquard fabric that gives the feeling of opulence and richness in the bedroom. 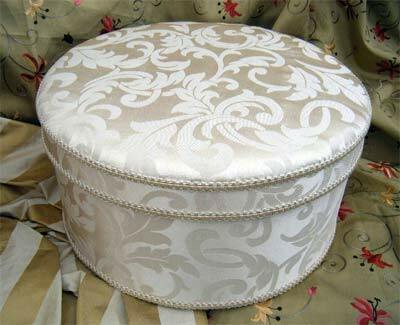 This hat box would suit either a contemporary bedroom to give it a different texture, Kelly Hoppen style, or indeed a stately home! A beautiful bridal box that could be filled with lots of accessories.